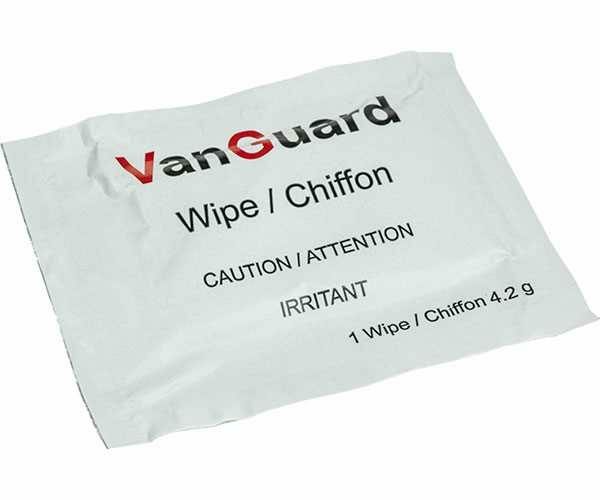 VanGuard Wipes are a versatile and quick means of applying corrosion inhibitor to a surface. Each wipe is packed in an individual sachet. The wipe is saturated with a triple action corrosion inhibiting package. It contains a highly refined low viscosity Swedish mineral oil which provides simple barrier protection. (The equivalent of an oily rag !) However, the oil also acts as the carrier for powerful ferrous and non-ferrous metal contact corrosion inhibitors and also a powerful vapour phase inhibitor. (Similar to that found in our ToolGuard VCI product). In short, the level of protection provided by a quick application of the wipe will be exceptional. If the item or tool being protected is being placed in a container or tool box the wipe can be placed in the same place. The vapour phase inhibitors given off by the wipe will protect unseen and inaccessible surfaces.